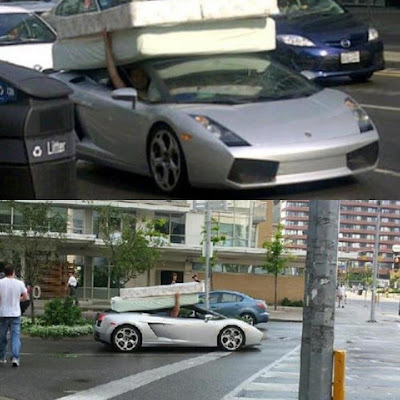 One Hot Lap: Fastest Mattress Delivery in the World! Hat Tip to Hristo S.
Low, aerodynamic roofline pays off again! what kind of woman would find this irresistible? answer: some women I wish I still knew.